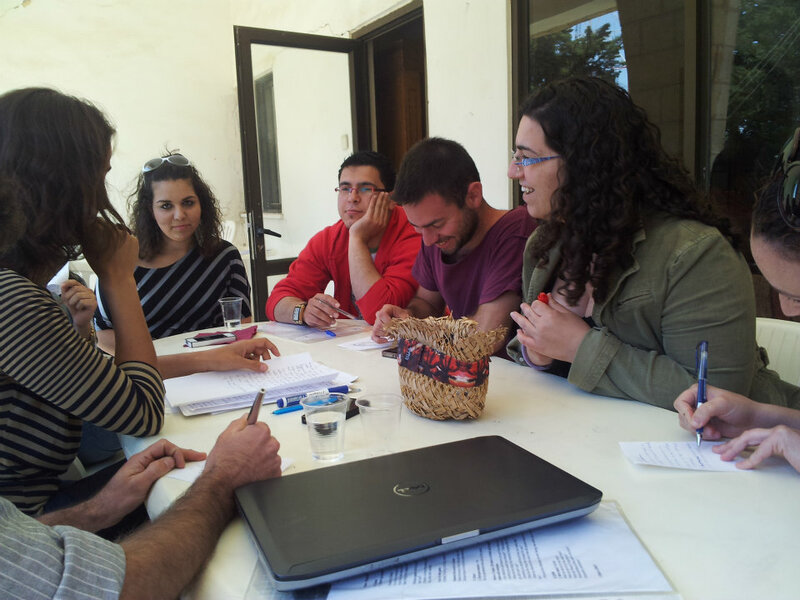 On April 29th, our 2012 Israeli and Palestinian participants met together for a reunion at the Talitha Kumi School in Beit Jala. The youth were excited to see each other and spent the day discussing what life has been like since the summer program. They expressed the unity they’d felt during the summer intensive, the ways Peace it Together has impacted them, and the challenges they experienced upon returning home. Met Israelis and Palestinians at airport. Strangers. “What’s your name again? Sorry I forgot." I’d never experienced a rainbow on the Sea to Sky Highway quite like they were experiencing the one we saw. Building peace, frame by frame. As a follow-up to the dialogue sessions, Peace it Together participants work together to create short films that express their viewpoints on the conflict. In this short video, Film Mentors and students discuss the filmmaking process.